I’ve been spending a lot of time in New York lately, which has been a welcome change from my usual summers in Los Angeles. My last trip in June was very theater-centric: four plays in seven days. This time, my visit was devoted to visual art: two days at MOMA, one at the Whitney and one at Dia Beacon, in the Hudson River Valley. My first stop was the Whitney’s huge Jeff Koons retrospective, a mid-career exhibition that took up four floors and the sculpture garden. I went in hopes of overcoming my love-hate reaction to Koons’ work, but emerged hours later feeling lukewarm to cold about all of it. Nevertheless, seeing the sculptures and paintings at close range increased my admiration for their meticulous craftmanship: it’s obvious that a great deal of skilled labor went into each one. 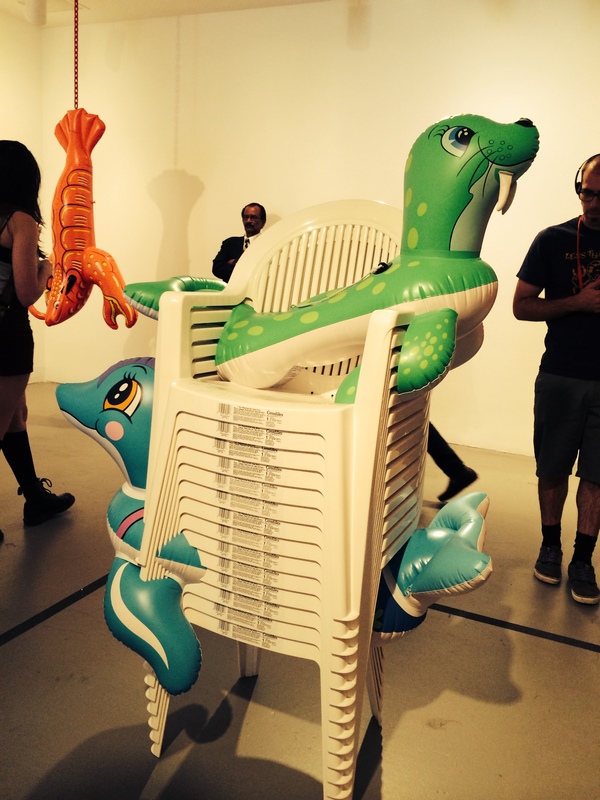 My negative reaction was aimed at the conceptual level–significant because concept is all that Koons does at this point. Regardless of medium, all his works are created not by him but by a team of artists, who (along with support staff) currently number 140. For years I’ve delighted in the balloon dogs and suspended basketballs of Koons’ early career, as well as the giant topiaries (“Puppy,” “Split-Rocker”) of the past twelve years. But at the Whitney, in rooms of lighted vitrines full of vacuum cleaners, sculpted blow-up toys, giant Play-Doh sculpture and large format photo paintings, the charm of Koons’ work faded. 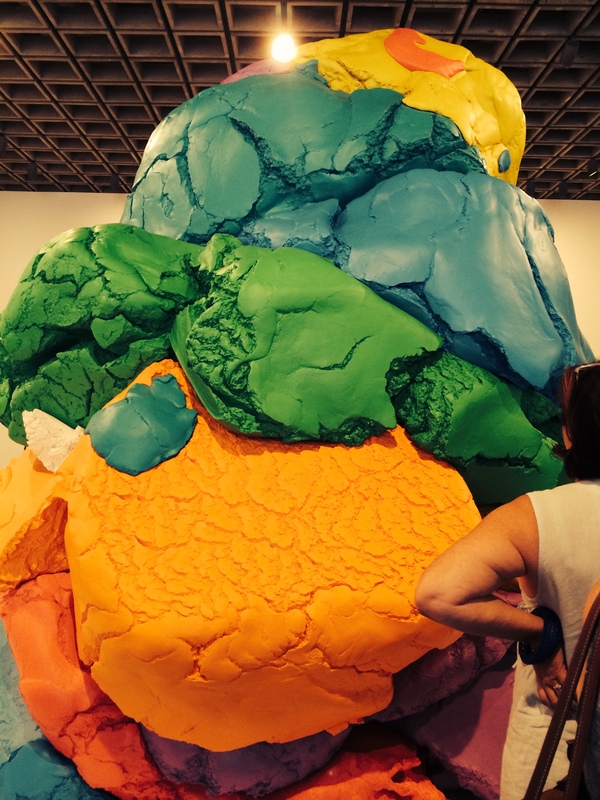 “Play-Doh,” a monumental and life-sized colored rendering that took a decade to make because of technological difficulties, was a particularly vivid example. Standing before it, my only thought was why? Similarly, his porcelain sculptures–such as “Michael Jackson and Bubbles”–were both technical marvels and conceptual blanks. Looking at them, I could glean no greater meaning than what appeared on their shiny surfaces. 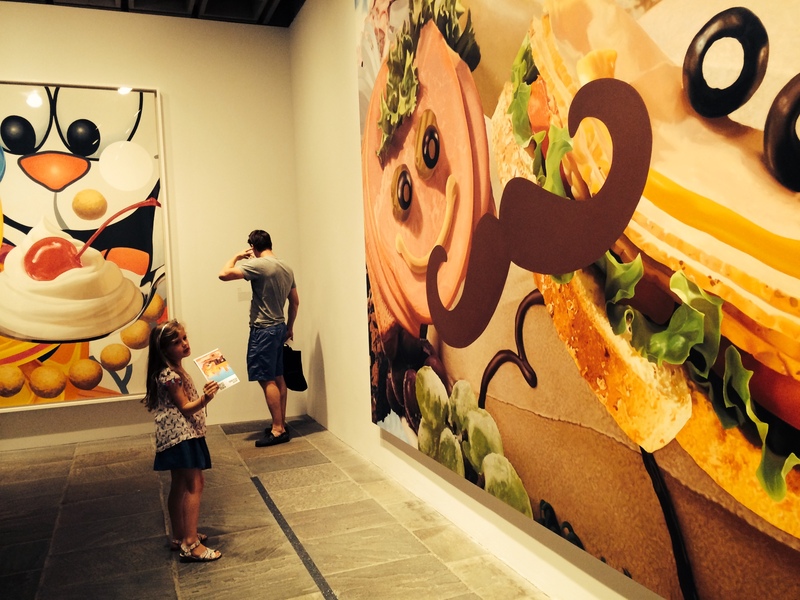 The permanent collection acted as a palate cleanser for the Koons exhibit. 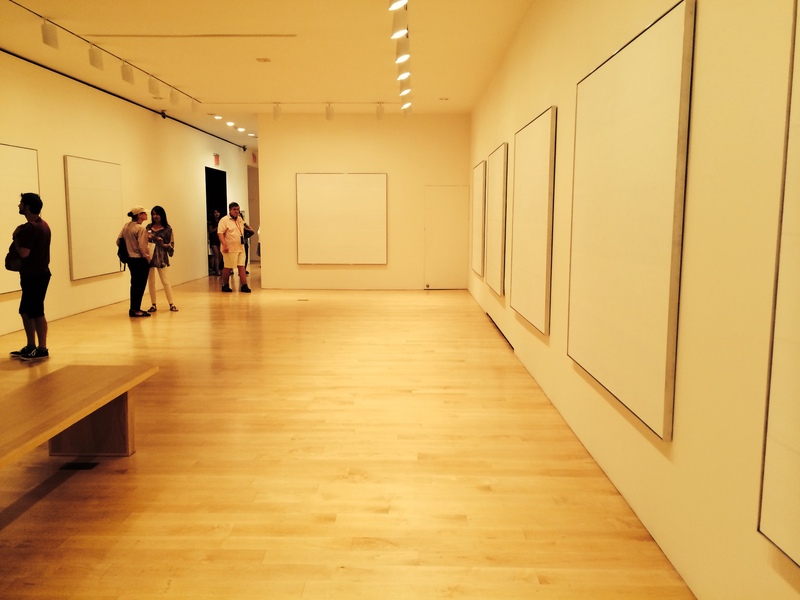 I found solace in a room full of Agnes Martins (“The Islands”) and a wall of Ed Ruschas. 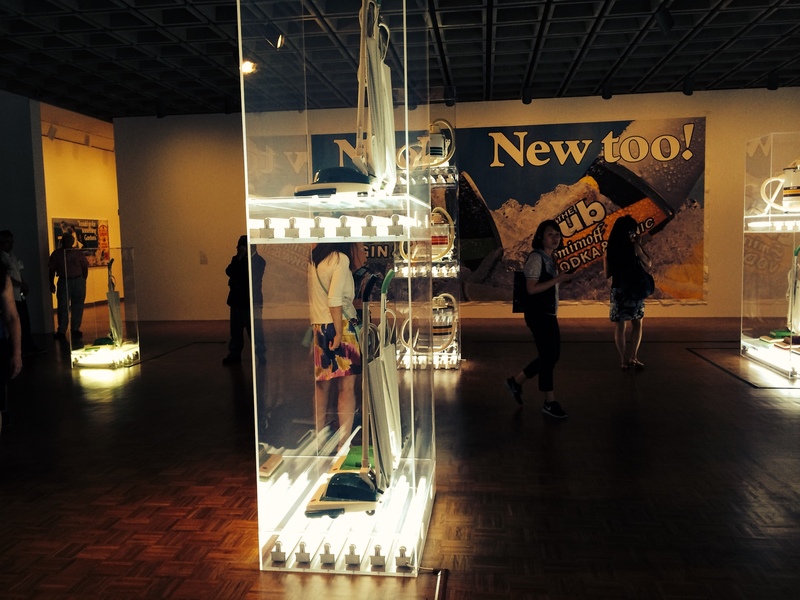 Even the Warhol Brillo boxes seemed masterful in comparison to the Koons Play-Doh and pool toys. 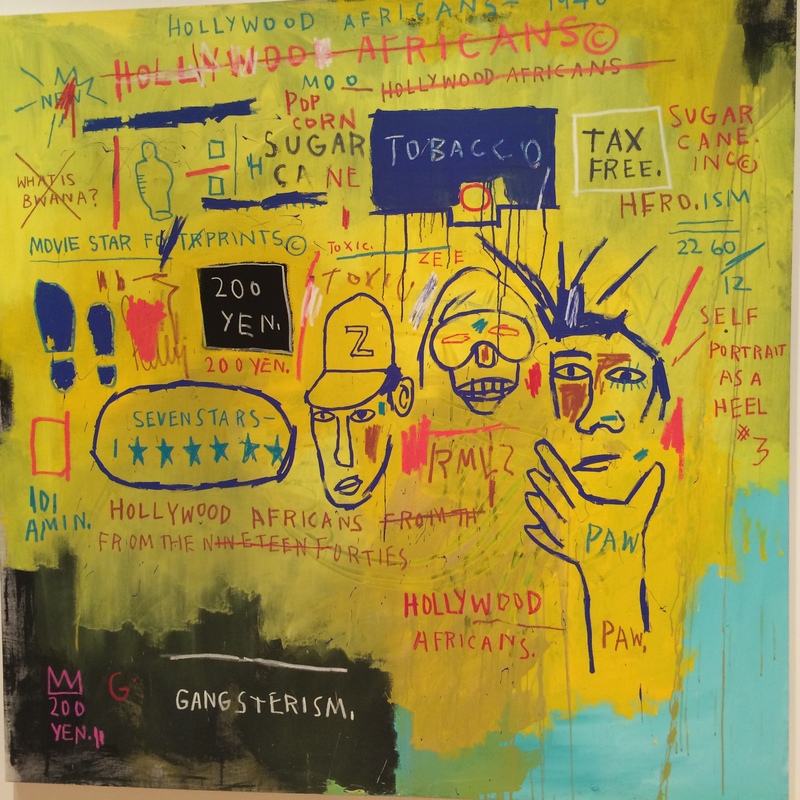 And Jean Michel Basquiat’s painting “Hollywood Africans”–regarded as a daring example of street art when it was new–seemed rigorously formal thirty years later, or perhaps just in contrast to the Koons retrospective. 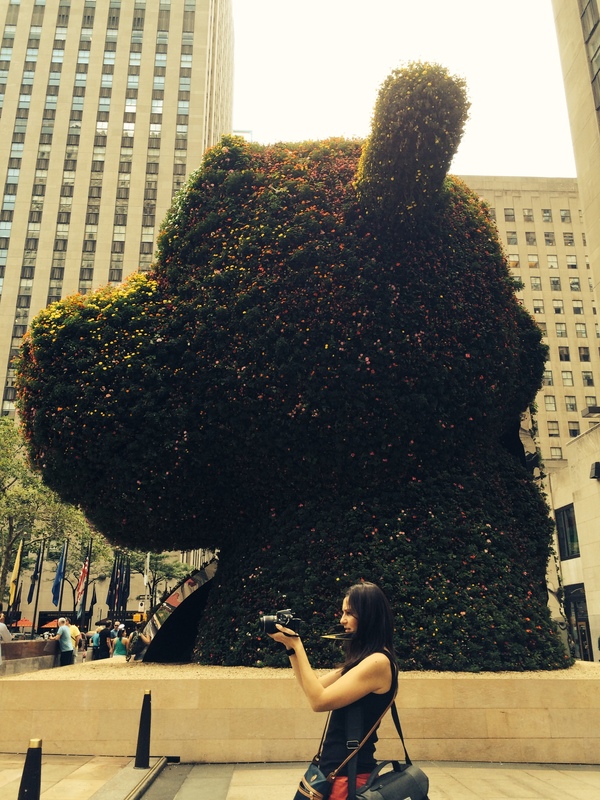 I had a better experience with “Split-Rocker,” (top) Koons’ topiary in Rockefeller Center. Even more than “Puppy,” “Split-Rocker” is a multi-faceted delight: not only because of its dual pony/dinosaur face but because it looks radically different at different distances. 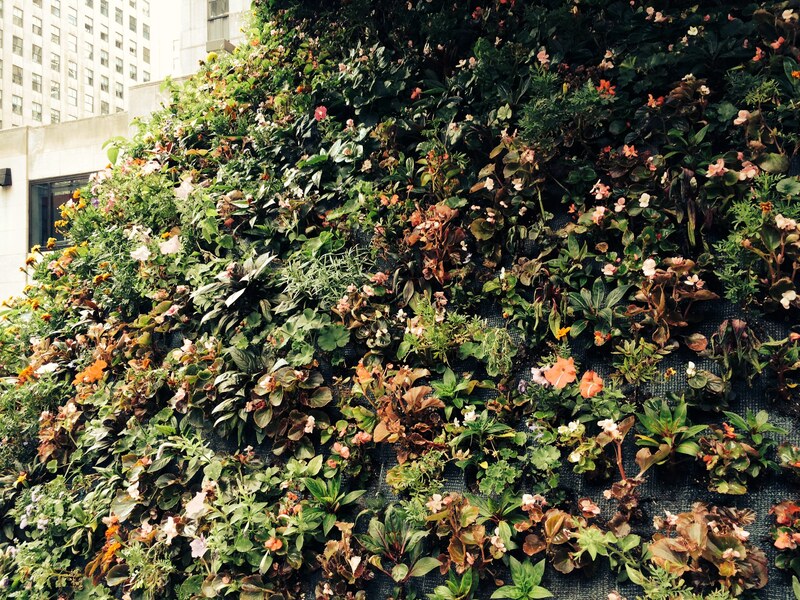 It’s a grey-green monolith from a great distance, a huge flowering toy from middle distance, and a fascinating collection of flowering plants close up. There’s even a ribbon of mirror that reflects viewers. 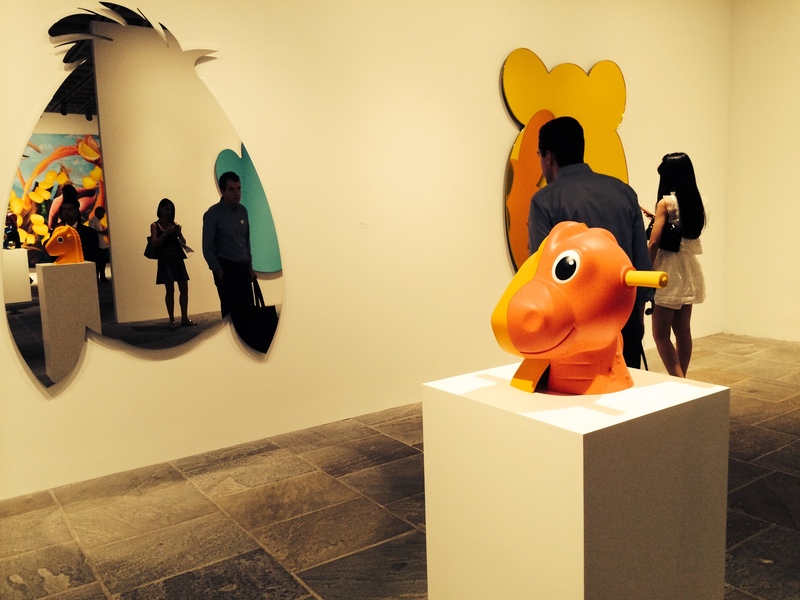 It’s a given that Koons is the most commercially successful fine artist of his generation. 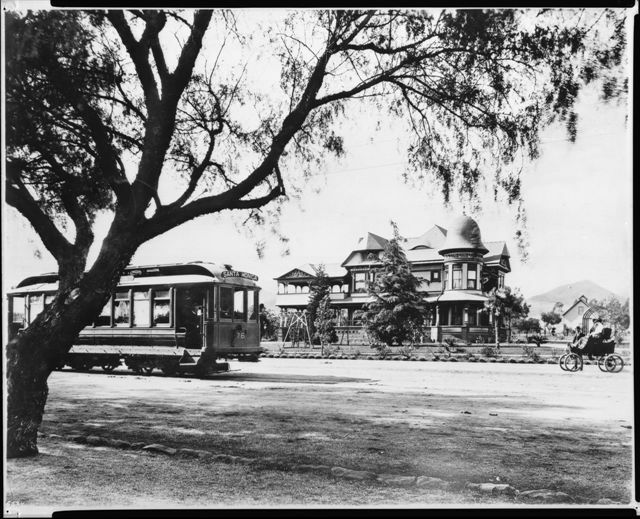 The question is whether his work will be well-regarded, or even remembered, beyond his lifetime. Will he be another Marcel Duchamp or another Paul De Longpre, whose paintings were all the rage during his lifetime and instantly forgotten after his death? Questions of art, commercial success and posterity were very much on my mind when I had an illuminating encounter a couple of days later. More about it in Part II. 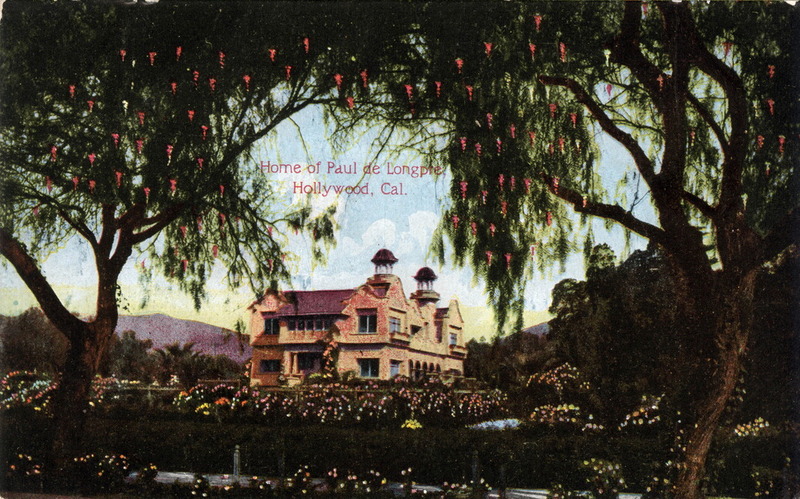 You are currently browsing entries tagged with Paul de Longpre at Under the Hollywood Sign.